Would you choose any of these Spanish baby names for your boy or girl? Not all British parents choose traditional baby names for their kids. Quirkier options are in fashion, with some mums and dads drawing inspiration from different cultures and countries. So it should come as no surprise that Spanish monikers are a hit in 2018. Spanish is a Latin-based language, just like French and Italian. Many are drawn to names with these origins, as they have a very romantic feel. Lucas, Mia and Amelia are among the most popular names of the year – and each can be traced back to the Mediterranean country. And they aren’t the only monikers that are set to take off. Babycentre revealed more Spanish options that are trending at the moment. So would you choose any of them for your little ones? 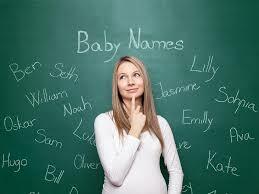 Choosing the perfect name for your newborn can be a daunting task. Previously, we revealed the monikers that have been trending during spring. In recent weeks, there has also been debate about whether or not it’s wrong to call your child something unusual. A Mumsnet user sparked discussion by slamming this baby name. There was also uproar when a Netmums poster complained that hyphenated first names are “chavvy”.